The Theme for this years’s IOD is “Think Big”. Most of us who advise to the business side of organization’s have no problem with this concept. We will see just how this theme pans out over the week. Monday was the opening for the IOD Marathon and it was a long one. 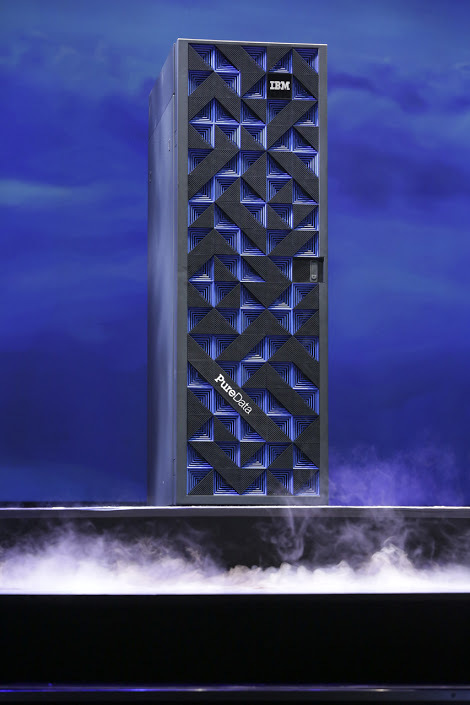 It began in the “arena of loud” with the rollout of IBM’ latest Pure Systems appliance, “Pure Data”. This giant of an appliance (7′ tall) arrived on stage under its own power (complete with fog) and reminded me of something out of Dr. Who. This set the stage for many such major announcements over the day including a car giveaway (Honda “Insight”). I was sure that at that point I had transcended somehow to being on the set of the “Price is Right”. Seriously, a car give-away by IBM? In spite of these distractions the day was a good one for Business Side interests in Information Governance, Advanced Analytics and Business Informatics. IBM rolled out major refreshes to their foundational InfoSphere Information Server 9.1 & MDM Server 10.1 platforms. Both have shifted into the domain of “business driven” from both a configuration and daily management perspective. Finally, the Business will be able (with their IT Partners) to manage Information as an Asset over it’s entire lifecycle with a focus on Competitive Advantage and Risk Mitigation. I was impressed by IBM’s “Business Driven” roadmap for future expansions and enhancements to both of these platforms and supporting solutions. In addition, I saw similar themes and approaches taken on the Business Analytics side of the shop with major “Business Driven” enhancements to the Cognos, SPSS & Other platforms, along with the further integration of new acquisitions into the mix. There were a number of great customer testimonials and “lessons learned” activities as well. Organizations are really starting to break-free from “speeds and feeds” to focus exclusively on the tangible benefits and payback delivered to the business side of the house. This has been far too long in coming, but is certainly recognized and much appreciated by myself. Stay tuned “Captains of Industry” as I take on Day 2 of the IOD Marathon and report back on “everything Big”.